The Cambro 23SLB250 StoreSafe® food rotation labels enable staff members to easily check inventory and maintain a first-in, first-out system. They are freezer safe at temperatures as low as -40 degrees Fahrenheit and can be microwaved safely. After use, they can be washed off with water or in the dishwasher. They dissolve in 30 seconds and do not leave a sticky residue behind. Dissolves under cold and hot water and in the warewasher in 30 sec. Withstands temperatures as high as 200 degrees F for 4 hrs. 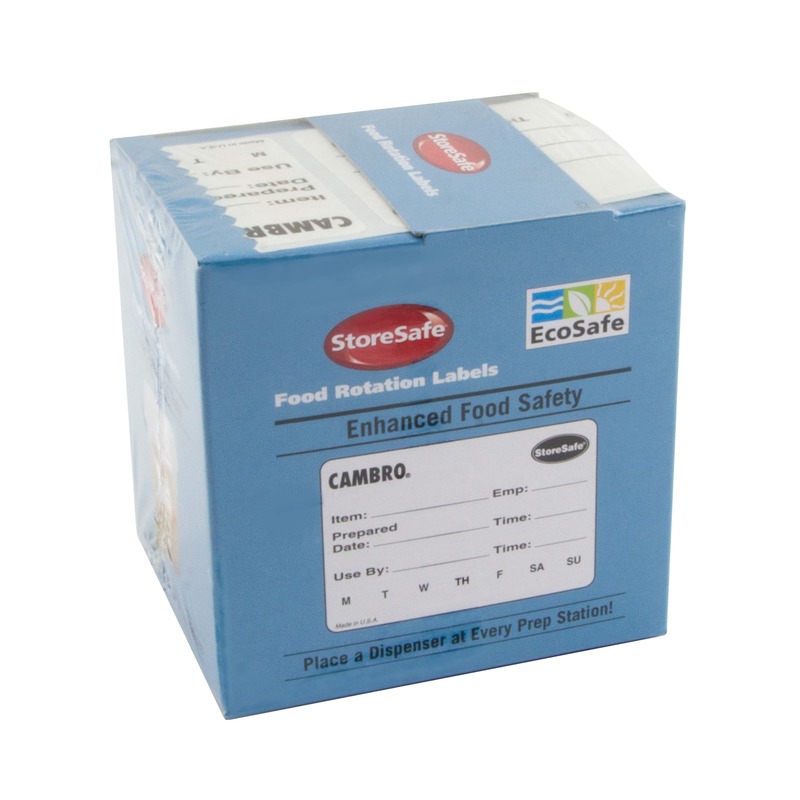 Take a look at the Cambro food labels guide to read more about these labels. "The masking tape and sharpie method is far superior... These "bio" labels are a sham. Don't stick, rubs off with a little moisture, does leave a..."
"I like this product. But it seems to not want to stick very well. I tried using it on my sausage and I suppose it did not like the grease. I f..."
"The masking tape and sharpie method is far superior... These "bio" labels are a sham. Don't stick, rubs off with a little moisture, does leave a sticky mess on containers, not transferable. A pain to work with in a professional kitchen. Might be a cute idea for the Mrs. at home." "I like this product. But it seems to not want to stick very well. I tried using it on my sausage and I suppose it did not like the grease. I found the label on the floor of my cooler. If this is for food labeling then lets look at making it more sticky."